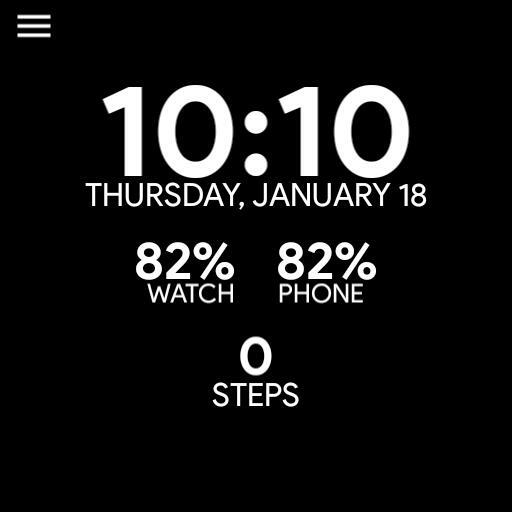 This is the free, slimmed down version of my feature-packed paid watch face Symplex 4. If you like what you see please consider buying the full version. It has way more features, customisation options, calendar, stopwatch, countdown timer, faster updates, and way more. DM on Instagram bobbywainwright or apex.dev or Google Plus message or Hangouts Bobby Wainwright Apex Development and I can give you a PayPal link and email. Upon receipt of payment I can send you the watch face, and will keep doing so for every update. If this watch face becomes popular Ill start a G Play to make things easier.